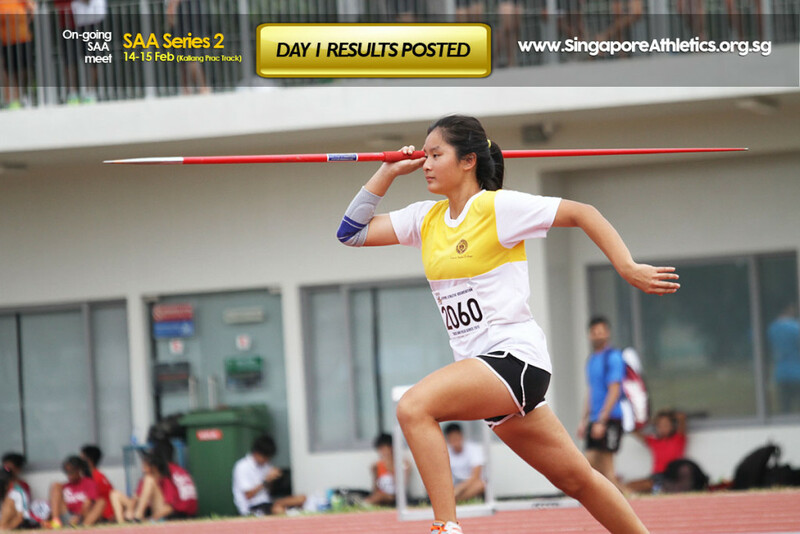 1 Jun – Results posted. 14 May – LIVE telecast. 13 Feb – Page created. Please submit your interest by 31 March 2015, Tuesday. Please submit your intention to SAA once the overseas meet information and window is open as soon as possible or 5 days before the final entry closing date. 22-year-old Mok Ying Rong won the Taipei Standard Chartered Marathon 2015 for the 20-29 age category. Her 1:25:37 results was 6th fastest overall for the women categories. Intro written by Yazeen Buhari & Kelvin Leong. 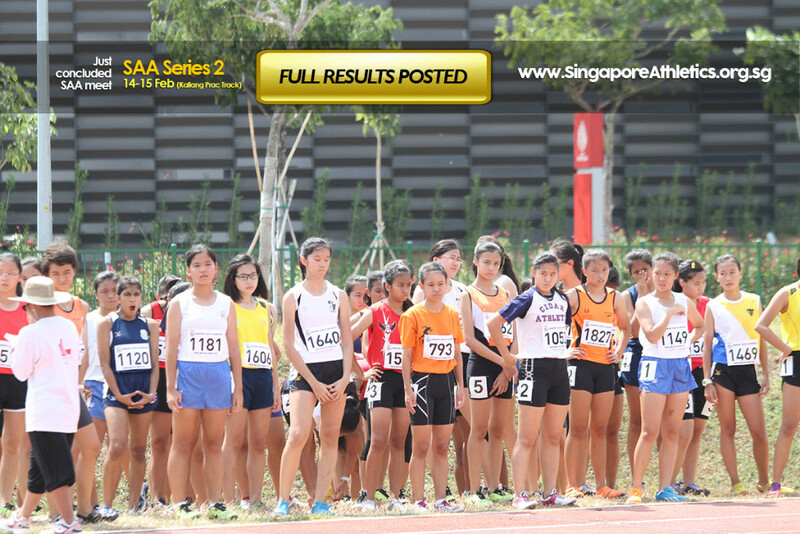 On 14th February last year, the Singapore Athletics family received a piece of news none of us wanted to believe. Our dear friend Md. Zaki Sapari passed away in a road accident. One year on, we are still reeling from the loss but we take comfort in the smiles that shine through brightly whenever we share our memories of him with one another. A bright Singapore hurdling talent who was destined for greatness, Zaki was the record holder for the men’s national junior 400 metres hurdles (53.51 seconds) and was definitely on track to lower his timing in his bid to conquer the national record of 52.3 seconds. He would have been 23-years-old this year and instead of mourning the loss of our brother, we want to celebrate his life. The way he lived it. Fast, focused and always humble. “I watched him a couple of times in training and competition. An amazing potential I told myself. Thank you Zaki for the memories. I look at the hurdle and I think of you”. “A fine young man who excelled both on and off the track and one whose exemplary conduct was liked by his peers and even his rivals on track. One year on since we said our last goodbyes to Zaki, yet his memories are still etched in my mind especially so when I am on the track where I used to train him”. 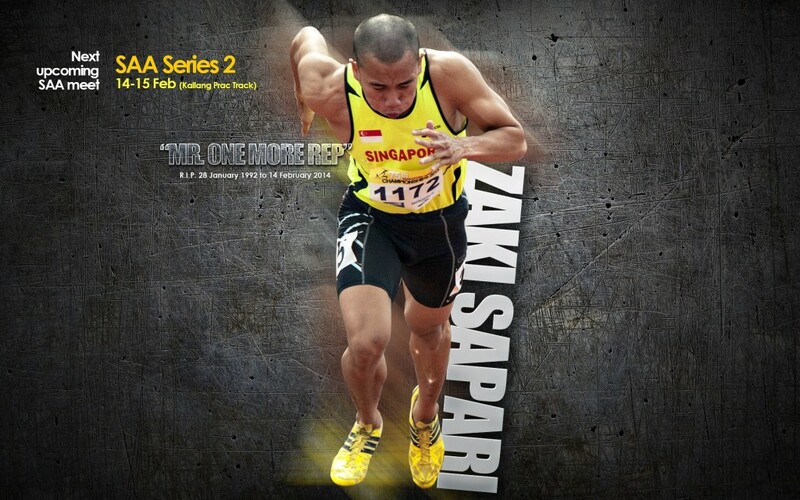 The Singapore Athletics family will also be holding a minute of applause in memory of Md Zaki Sapari at the Series 2 this Saturday and we will also have a banner for competitors to pen their fond memories of our beloved brother. The banner will then be presented to Zaki’s parents to show that the whole fraternity is with them. Please use hashtag #RememberingZakiSapari for all Zaki Sapari related post on social media platforms. 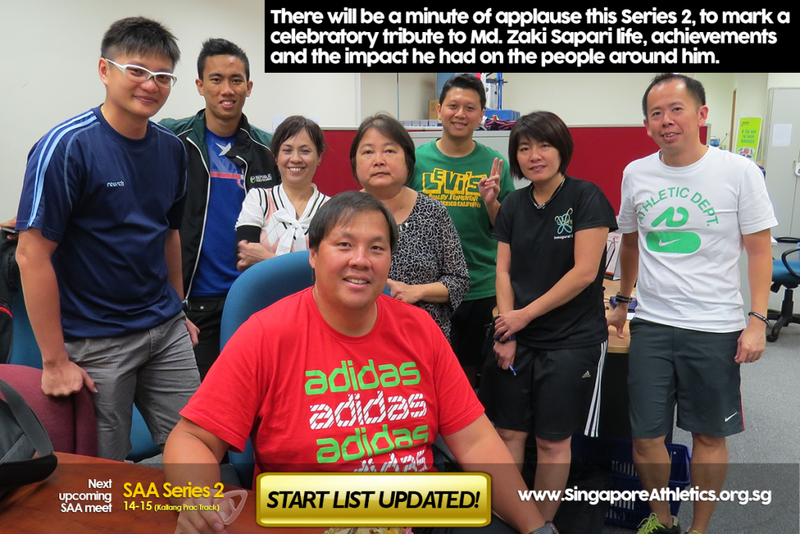 The Singapore Athletics family will also be holding a minute of applause in memory of Md Zaki Sapari at the Series 2 this Saturday and we will also have a banner for competitors to pen their fond memories of our beloved brother. The banner will then be presented to Zaki’s parents to show that the whole fraternity is with them. With the local running community eagerly awaiting his result, Singapore marathoner Ashley Liew kept faith in his ability and ran a personal best timing of 2hr 32min 12sec over 42km at the New Orleans Marathon to put himself into contention for a spot in the 2015 Southeast Asian Games. And all this he attributes to a certain iron lady whom he knows is proud of his achievements. 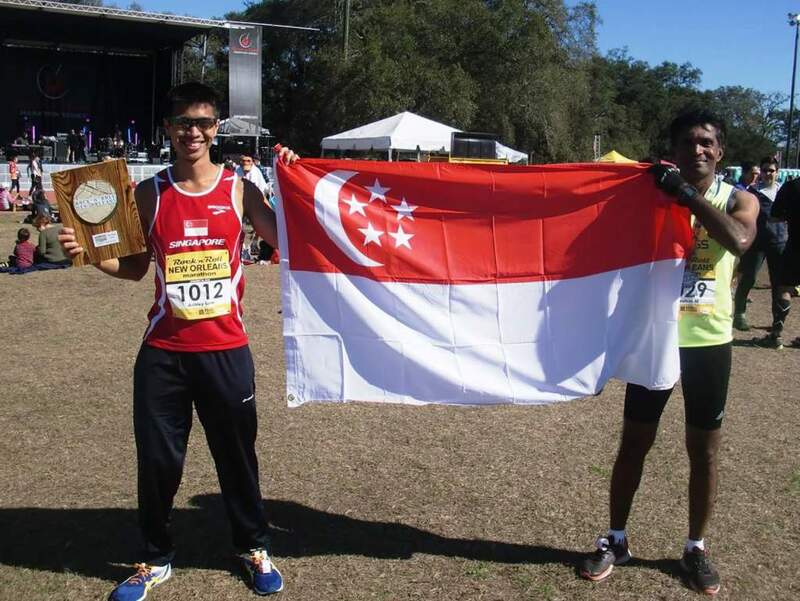 Soh Rui Yong clocked a 2hr 26min 1sec timing at the California International Marathon in December 2014 and has qualified to be one of two runners to represent Singapore at the 2015 SEA Games while Singapore athletics’ golden boy Mok Ying Ren, who is the defending champion of the SEA Games marathon event, has yet to clock a qualifying time this year. Despite the uncertainty of whether he will be at the marquee event come June on home soil – Liew will not make the cut if Mok manages to run a better timing before the qualifying window officially closes at the end of March 2015 – Liew is still thankful for all that has happened over the course of the past few months. Despite his obvious talent for competitive running, the slender 56kg running machine we see now wasn’t always as fit during his school days when he tipped the scale at 80kg. “I was overweight from Secondary School through National Service. My first school Co-Curricular Activity was canoeing and dragon boat at Junior College, which was one of the only sports that accepted students without prior sporting background. “During the course of strenuous canoeing training, I found some joy in run training. Believing we had the sufficient endurance base, some of us signed up for our first marathon, the 2004 Singapore Marathon. I chugged to the finish in 4h29m34s. 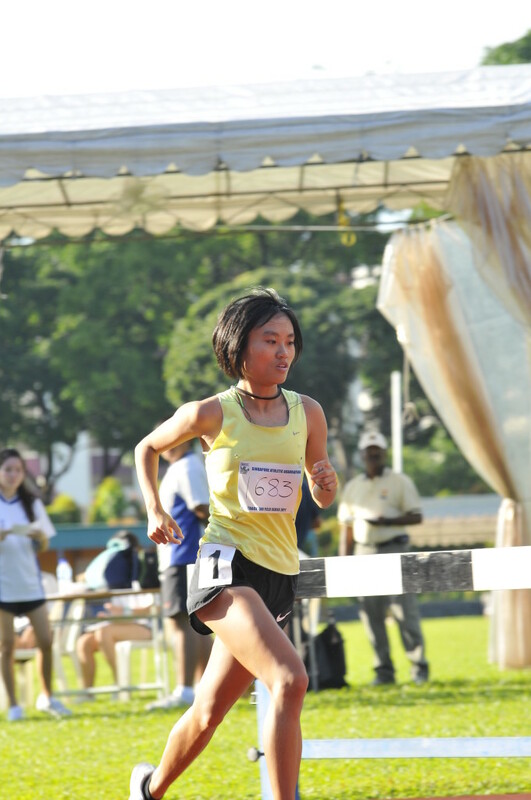 Despite the agony and challenges during the race, I was hooked.” added Liew. While his passion for the sport was obvious, it took a chain of events back in 2008 that turned him from a budding potential to one of Singapore’s top marathoners. Liew who managed his personal best last month in the United States to put himself into contention, will now have to wait till the end of the qualifying window to know if he will be one of two marathoners gunning for SEA Games glory but the 28-year-old reckons holding up the Singapore flag in New Orleans will already go down in personal memory as one of the defining moments of his running journey. And as if qualification is not enough of a motivation factor, Liew was quick to point out who he thinks of whenever he is pounding the gravel beneath his feet one step at a time. While it is not certain if Liew will be donning the Singapore flag on his chest come June at the homecoming SEA Games, it is clear that the man will always pride himself as a true blue Singaporean who runs every race with the belief that he is running for the people he love, the country he honours and a personal determination to always, always give his best and nothing less.